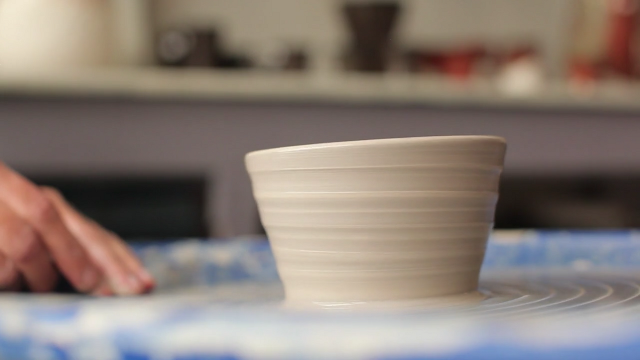 Working with clay is a kind of game combining both concentration and letting go. Concentration in the sense that you need to be sensitive as to how the clay is reacting to the pressure of your fingers. And this allows you to relax and let go: rather than remaining focused on the finality of the object you're making, you'll be more involved with the making itself, how the clay is evolving on the wheel. I always work with small groups no larger than 5. I break down the different steps involved in throwing a pot, so you know exactly what those precise hand positions are meant to accomplish. At the same time, I'm careful to create an atmosphere conducive to letting go: pleasant surroundings, a warm and cheerful tone, fun exercises on the wheel to boost your progress, and careful attention to posture and breathing to avoid stiffness.